Happy Friday! Here’s a recap of this week’s industry news. Previously known as Project Spartan, Microsoft officially named its new browser Microsoft Edge because “it’s on the cutting edge of what consumers and creators want to do on the web.” Along with the name change comes updates in the page layout, which now resembles a customized home page of websites users visit frequently, the inclusion of Cortana and a Microsoft game similar to Halo. 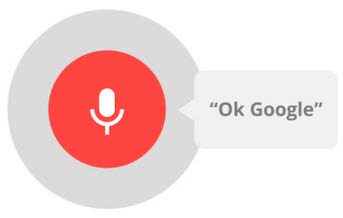 Android’s updates to ‘OK Google’ make it easy to control your phone hands free. Voice actions were previously only available for opening apps, but now, ‘OK Google’ allows users to start a car and identify songs. More impressively, however, Google is experimenting with custom voice actions that will allow users to carry out specified commands on different apps. This means in the next five years, you may never have to click to like an Instagram picture again. Microsoft’s newest website how-old.net attempts to guess ages by analyzing an uploaded picture. While the concept is fun and a simple experiment, conversations exploded on social media due to its inaccuracies. If you haven’t yet tried the platform, I highly recommend it. And don’t worry if Microsoft guesses you’re 50 when you’re actually 22. According to the website, the boys of One Direction are anywhere from 19 to 46! Do you want to paint billboards safely? There’s a drone for that. Brooklyn-based artist KATSU tested the limits this week when he took his flying graffiti machine to downtown Manhattan and splattered red paint on a Calvin Klein advertisement featuring Kendall Jenner. The graffiti drone may not be as sophisticated as some might like, but it’s a small step to reaching new heights (literally) in tech and in art. Apple’s long-awaited analytics app for developers is finally in Beta testing, and will help companies make smarter marketing decisions. The free tool allows developers to track how consumers find and download their app and other metrics like length of time on an app. Analytics are already in effect for some developers who requested access early, however, the rest of developers will receive access on a first-come-first serve basis.